Mada mi je sumnjiv snimak, gledam uživo CNN i još nije udarila sa tolikom kišom i vetrom, a ovo /zbog mraka i svetiljki) deluje kao da je snimljeno noću ili rano ujutru. Gomila je ovakvih vesti na tviteru, da li je moguće da su tačne? Due to the current forecast of Hurricane Irma, the University of Florida’s main campus in Gainesville will be closed on Tuesday, Sept. 12. We previously announced the university would be closed on Sunday, Sept. 10, and Monday, Sept. 11. No classes at the University of Florida will be held on any of those days through Tuesday. Only essential university personnel should report for work, although additional personnel may be asked to come in on Tuesday to assess damage and prepare for opening. All employees should check with their supervisor on Tuesday. UF is currently scheduled to reopen and resume classes and normal operations on Wednesday, Sept. 13. We will continue to evaluate campus and community conditions, providing any scheduling updates as needed. For example, the university will consider reopening the J. Wayne Reitz Union when it is safe to do so. The official site for university hurricane information is the UF home page. We ask UF Health clinical and core service personnel to check with their supervisors as to whether they should report to work and provide support to the academic health center for emergency operations. Supervisors, please ensure that all employees, including OPS, are informed of this closure. Notices of any scheduling changes can be found on the UF home page or on the information line at 866-UF-FACTS or 866-833-2287. As always, students and employees in need of immediate assistance should dial 911. Students may also contact U Matter We Care at umatter@ufl.edu or by calling (352) 294-CARE (2273). Employees may call the Employee Assistance Program at (352) 392-5787. The University of Florida will open an emergency shelter inside the Steinbrenner Band Hall for affiliated members of the UF community and their families. UF will be opening an additional emergency shelter inside of the Southwest Recreation Center (Building 0316), for members of the UF community and the general population. The address is 3150 Hull Road, Gainesville, FL 32611. These shelters will be opened on a first-come, first-served basis on Sunday, September 10, at 10 a.m. We will open the Southwest Recreation Center earlier if needed and announce any changes in the opening time. Most members of UF’s community will shelter in their residence or home and/or with family and friends. People who should consider going to this emergency shelter may live in manufactured housing and/or within flood-prone areas. Students who live in residence halls should remain in their halls and follow housing staff instructions. The emergency shelters will remain open until the tropical storm force winds from Hurricane Irma subside and close when outside conditions are deemed safe by public safety officials. Additional shelters could be opened depending on demand. The emergency shelter will be located in Southwest Recreation Center. Enter the shelter from the northeast entrance inside the protective wind screen. Nearby parking may be available in parking lots along Hull Road. Campus parking restrictions are waived through Tuesday. Entrance to the Steinbrenner shelter will require an active UF affiliation and Gator1 ID. Non-affiliated people must be accompanied by a sponsoring individual with a valid Gator1 ID at all times. No pets or comfort animals will be allowed into the shelter, only ADA service animals are permitted. Alachua County offers two pet-friendly shelters. Each individual will be allocated 20 square feet of personal space. Please provide your own bedding (i.e. pillows, blankets, sheets, air mattresses etc.). Basic food options will be provided. If you have dietary restrictions, please bring your own food. Don't forget your chargers for electronic devices, and head phones/ear buds for video and audio use. Please bring your own medicines and/or medical supplies. No re-entry will be allowed after exiting the shelter. kaze jos da su jako ozbiljno upozoravali stanovnistvo prethodnih dana da se spreme, medjutim prosireno je podrucje rizicno zbog neocekivane promene pravca uragana. on sad sedi u stanu koji nije kritican jer je u nizoj betonskoj zgradi, sa zalihama hrane od poda do plafona jer im prodavnice sigurno ne rade nijedna do utorka. a kuba zapravo nema stradalih jer su oni odlicno organizovani bar za evakuaciju, imaju i nadzemne i podzemne bunkere da skupe stanovnistvo. salju medic timove po okolnim ostrvima unistenim. Malopre negde videh da se oko 6,2 miliona ljudi evakuiše po Floridi. E sad, izgleda da je problem što će da spiči Tampu a ne Majami, u Tampi zadnjih dana nije bilo evakuacije niti ozbiljnijih priprema vlasti. Climate science denial is thwarting efforts to plan for rising seas and worsening storms. You may think that the most vulnerable city in United States to hurricane is New Orleans, or Houston, or Miami. But studies say Tampa tops them all. And since the storm track for Hurricane Irma has been slowly shifting toward the west coast of Florida over the past day or so, it appears that Irma has Tampa in its cross-hairs, potentially hitting the city as a Category 3 storm Monday morning. Given the severe risk, the good news is that the Irma is not approaching Tampa from the west — that would be a worst-case scenario that could generate storm surge of up to 20 feet. The bad news is that the latest projection by the National Hurricane Center Calls for a storm surge of up to 8 feet, and their own surge map shows parts of the city getting more than 9 feet. “A severe storm with the right track orientation will cause an enormous buildup of water that will become trapped in the bay and inundate large areas of Tampa and St. Petersburg,” explained a 2015 study by Karen Clark & Co. (KCC), discussed in the Tampa Bay Times. KCC is a company specializing in modeling possible property damage from disasters for the insurance industry. “Fifty percent of the population lies on ground elevations of less than 10 feet,” the KCC study notes. The Tampa-St. Petersburg area has a population of 2.8 million people. A 2016 study by CoreLogic, a global property information firm, concluded that more than 90,000 homes would be at risk of flooding from a Category 1 storm with a surge of 4 to 5 feet. More than 1 million people are in the evacuation zone for a storm like Irma. 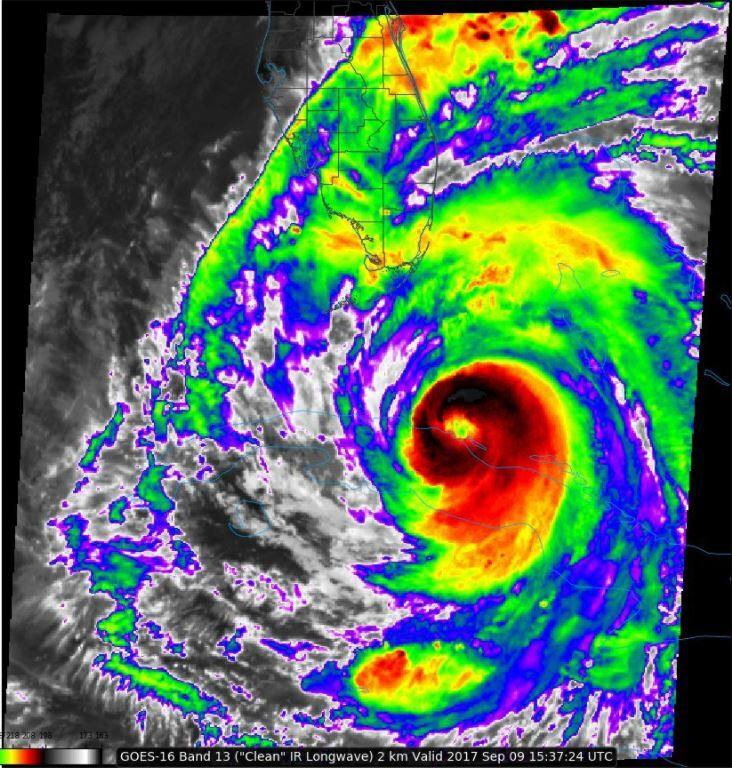 “If major evacuations are called for, Tampa’s geography makes it almost impossible to get everybody out of town to safer locations,” explained Minnesota Public Radio chief meteorologist Paul Huttner in 2012 when Hurricane Isaac was threatening the city. But Isaac missed Tampa. In fact, one of the reasons the city is unprepared is that it hasn’t taken a direct hit from even a Category 1 storm since 1946. And the last time a major hurricane hit the area was 1921, when hardly anyone lived there. So in the ensuing decades, the city dedicated billions of dollars to building huge waterfront condos. It even built a hospital on an island in the bay. As sea levels rise, the possibility of a worse case scenario — a Category 4 storm approaching from the west pushing water into the bay and generating a 20+ foot storm surge — becomes more and more likely. Predicted height above ground of the water from a worst-case Category 4 hurricane in the Tampa Bay region, as computed using NOAA's SLOSH storm surge model. Downtown Tampa Bay would be inundated by more than 20 feet of water, and St. Petersburg would become an island, as occurred during the 1848 hurricane. This is a storm with upwards of $200 billion damage, quite separate from any injuries or fatalities the storm causes. 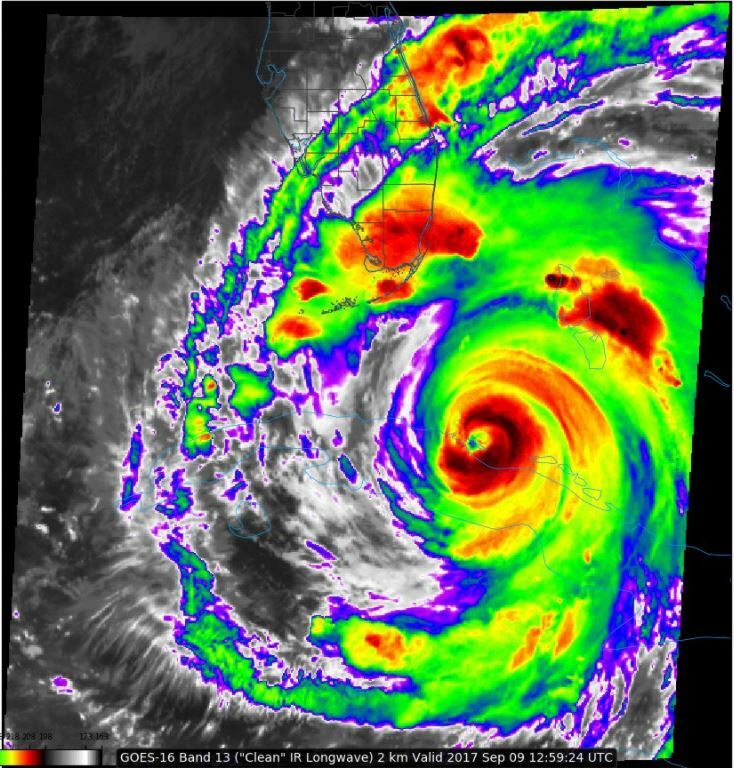 A 2015 study by MIT pointed out that global warming is dramatically increasing the chance of this storm happening by century’s end. Irma is not a worst-case for Tampa, but it will be devastating nonetheless if it keeps to its current track. It’s time for the region and the state to end their denial and start planning for the inevitable. Blind Lime Pie wrote: Da. Vrlo je slična Katrini po obliku i jačini, maltene do u teradžul. Nadam se da će Hemingvejeva kuća preživeti, zajedno sa onih 55 mačaka, to mi je san da vidim jednog dana. Upraviteljka imanja kaže da ostaje da čuva muzej i mačke, odbila je da se evakuiše. cisto kao casual posmatrac: slusali smo 30 godina o an sang su ci kao borcu za ljudska prava i svetioniku demokratije u mijanmaru i cim je dosla na vlast ona uzme i etnicki pocisti milion muslimana iz zemlje i izazove humanitarnu katastrofu proteravsi ih u banglades, po 100 razlicitih parametara najsiromasniju zemlju na planeti. jbt, koji je kurton taj svet iz 1990-ih. kontam ako su dali Nobela Kisindžeru, neka su i njoj, šta kurac. ne znam da li je Idi Amin Dada bio u užem izboru ali me ne bi čudilo. Зечији мачићи, орловски пилићи, срнећи бикови. Ima li pojašnjenja čime su građani Japana zaslužili da ima sevaju nuklearke nad glavom? Mogli su preko Kine pa u međunarodne vode Južnokineskog mora. Čime su zaslužili? Razmišljam "sintetički" i pada mi na pamet samo - Jjokbari = Bugari! Kako beše ide onaj vic: Kad se zarati, a ti ne znaš gde da udariš, udari na Bugare Jjokbar-e, nećeš pogrešiti!